The New Yorker January 31, 1948. Pages 21-25. Later published as part of the collection Nine Stories. A young, newlywed soldier who has just returned from the war. He’s on vacation with his wife in Florida. Muriel’s mother, who expresses great concern about Seymour’s state of mind. A four-year-old little girl who interacts with Seymour on the beach. She and her mother are staying in the same hotel as Seymour and Muriel. Another little girl who is staying in the same hotel. The story opens on Muriel alone in she and Seymour’s hotel room. Her call finally gets connected, and she proceeds to have a long conversation with her mother, who expresses a great deal of concern about Muriel because she seems to think that Seymour is crazy. Sybil walks down the beach and approaches a man (Seymour) who is lying in his robe on the beach. He and Sybil have a characteristically Salingeresque conversation wherein Seymour tells Sybil to keep an eye out for bananafish. 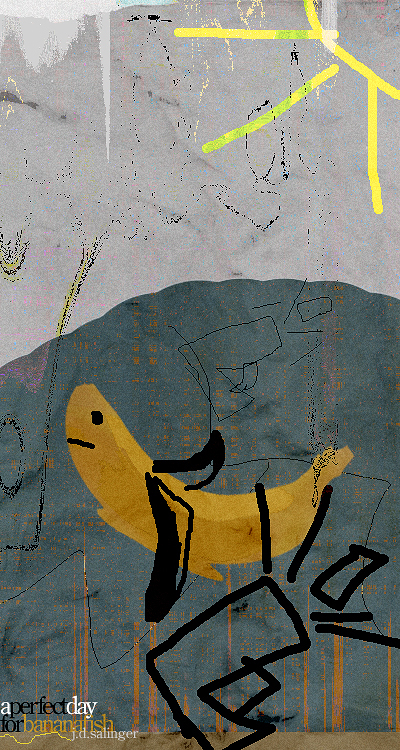 He exaplains that bananafish “lead a very tragic life” in that they swim into a hole underwater and gorge themselves on bananas so much that they can’t get out and die. After he and Sybil’s time in the water Seymour goes back into the hotel. He has a strange outburst at fellow hotel guests in the elevator, goes back into his hotel room, looks at his wife, retrieves his gun from his luggage, sits on the bed, and shoots himself in the head. For reviews of Nine Stories in general, please see the Nine Stories Primary Text Page. for an overview of each critical article, click on the link to each, or visit our Bibliographical Journal Article section. 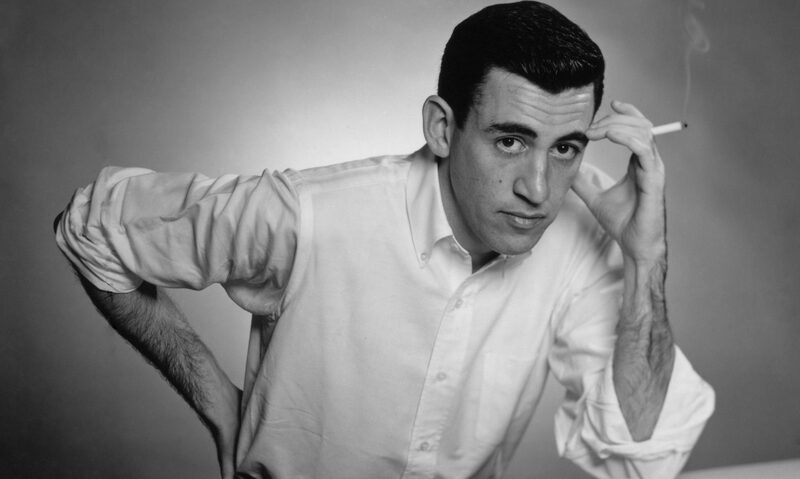 Greiner, Donald J: “Updike and Salinger: a literary incident.” Critique: studies in contemporary fiction (47:2) 2006, 415-30. As you will learn if you browse the critical articles listed above, there are a myriad of things that Salinger scholars like to discuss when talking about “A Perfect Day for Bananafish.” Here is a list of critical questions that the articles above will help you answer. 1. Why do you think Seymour kills himself at the end of the story? 2. Why did the author choose that fate for Seymour? 4. What do you think of the way that shell shock/war trauma is characterized in the story? Do you think that Muriel is sympathetic to Seymour’s mental condition? 5. What is the significance of Sybil? Why do you think Seymour relates to Sybil better than to others? 6. What is the significance of feet in this story? Why does Seymour kiss the bottom of Sybil’s foot, and why does Seymour accuse the lady in the elevator of looking at his feet? 7. Why does Seymour want Sybil to look for Bananafish in the first place, and what is a Bananafish?